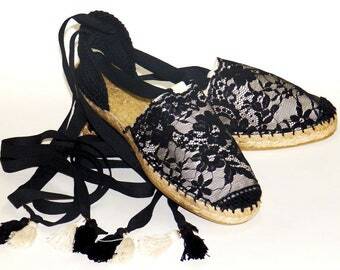 Authentic espadrilles from Spain. Totally customizable. Most models can be customized with the sole you choose. 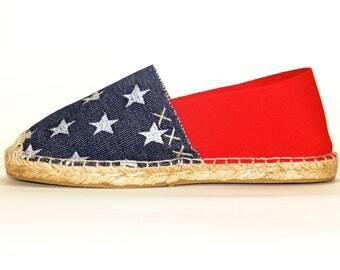 Sole flat, low wedge 1,2 inch, high wedge 2,75 inch and high wedge 3,9 inch. Just ask for a personalized order and tell us the sole you want. Size: If you have questions about your size. We advise the customer to measure the foot from heel to toe that stands out more, and tell us what is the measure. We are not responsible if the customer does not pick up the package on delivery. Being a product made to order, the price will not be refunded. 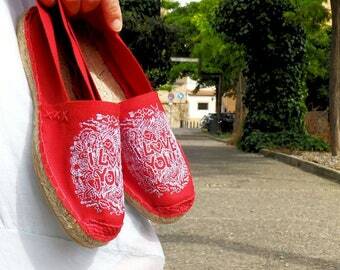 Unique espadrilles. Great materials and the colors and detail are exquisite. 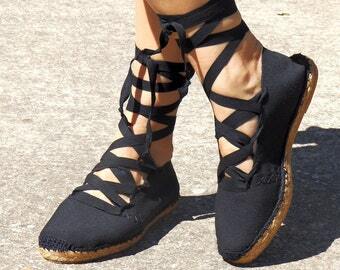 I'll be wearing these all summer for sure! Sehr schöne Schuhe. Genau nach meinen Vorstellungen. Man ist auf meine Spezialanfertigung eingegangen. Schnelle Antworten sowie Lieferung! 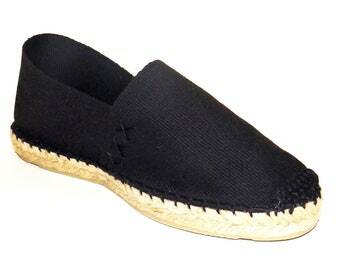 We are artisans and spent years making handmade espadrilles, giving that unique touch that only have things made by hand. We try to innovate and our product has an exclusive design, for that we turn away from commercial lines that each year flood the markets. Thus, our product is unique in the market. 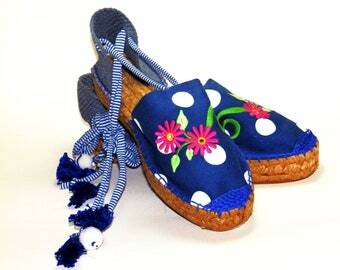 Being a handmade product is doubly valued for its exclusivity and finishing in detail. The products that are for sale in our Etsy shop are made to order, ie they do not exist before the purchase, so it took several days to make them. In exchange for a few days of patience and waiting you will receive a totally unique product freshly made. 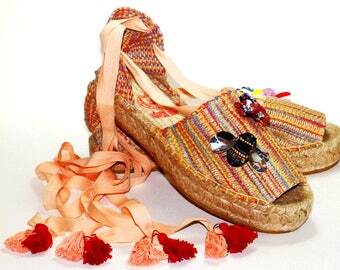 Most models can be made with different types of sole (flat, platform, high wedge or low wedge). Consult sizes and prices. Hello from sunny Spain! 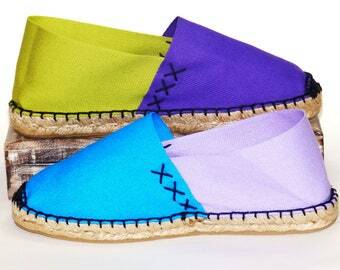 I am the owner of the Walk Heart store and have spent years making handmade espadrilles. Welcome to my store! Being a product as special as the artisan footwear, the client has to make sure of what size he is buying. We recommend measuring the foot from the heel to the most prominent finger and communicate the measurement.